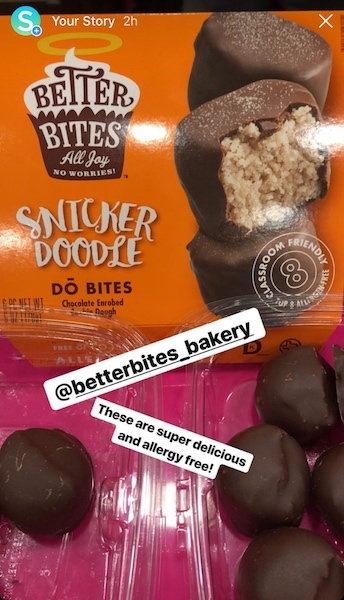 Spokin Ambassador, Allergy-Friendly Private Chef Extraordinaire and Author of the Cookbook Drizzle Kitchen Favorites, Kendra Peterson, went on a mission this weekend to find us the hottest new products at ExpoWest! She scoured the halls hunting down products she knew we would be excited to try. She did not disappoint! In case you missed our Insta Stories, these are the products you'll want to add to your grocery cart as soon as they hit the shelves. Be sure to pick up your copy of Kendra's Cookbook! If there is one thing Chef Kendra knows, it is how to cater to every kind of food allergy and specialized diet. This cookbook, Drizzle Kitchen Favorites, is something everyone can have in their kitchen with ideas on how to make healthy, delicious food with notes for substitutions based on allergies and specialized diets without compromising any of the taste. Available in PDF or hardcopy.